Enjoy this 1 bedroom unit located in the center of town and within walking distance of restaurants, bars, stores, and shops (including beach rental equipment and bike & scouter rentals). 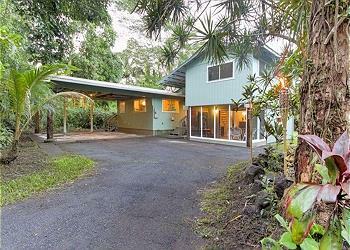 This newly renovated contemporary modern home mixed with Hawaiian Style is the best place to relax and unwind after a day out exploring the Big Island. 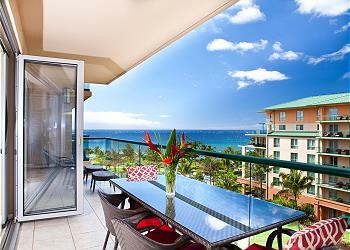 He’epali Hale has all that you need for that perfect vacation in paradise for up to six people. 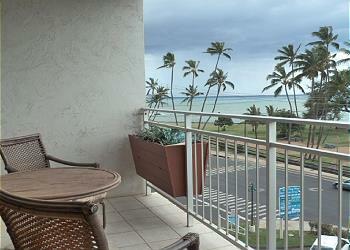 Explore this one-bedroom rental condo at Cliffs Resort in Princeville. 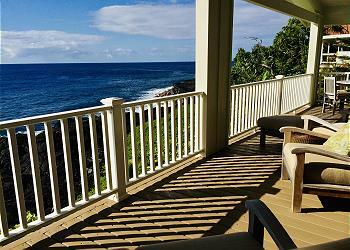 This Kauai vacation rental is located very close to Princeville's world-class golfing and many incredible North Shore beaches. 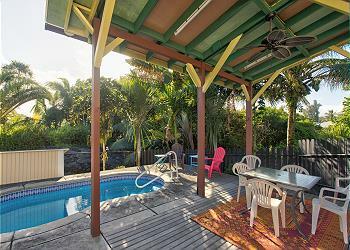 This beautiful home is the perfect quiet retreat or family vacation home. 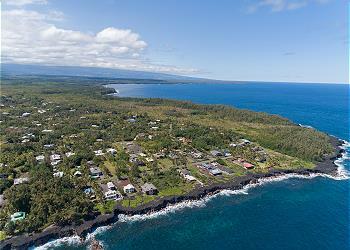 Centrally located in sunny Hawaiian Paradise Park, you are convenient to all of the sights and sounds that the east side of the Big Island has to offer. 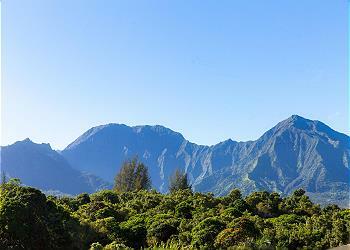 Villas of Kamalii is a new, quality constructed, premier gated community in Princeville. Villa #47 has unobstructable waterfall and mountain views that will simply amaze. 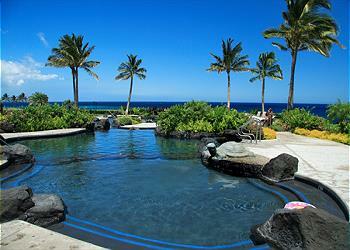 Welcome to Ala Heiau - a BRAND NEW VACATION RENTAL! 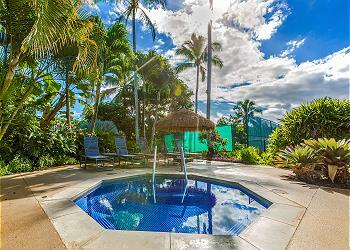 This gorgeous home is large enough for a few families to share and is the perfect home base while you sight-see the Big Island. Overlooking a lovely green space with tropical foliage to enjoy, you’ll immediately feel the aloha spirit at your 2-bedroom, 2-bath villa at the renowned Hali’i Kai at Waikoloa Resort.